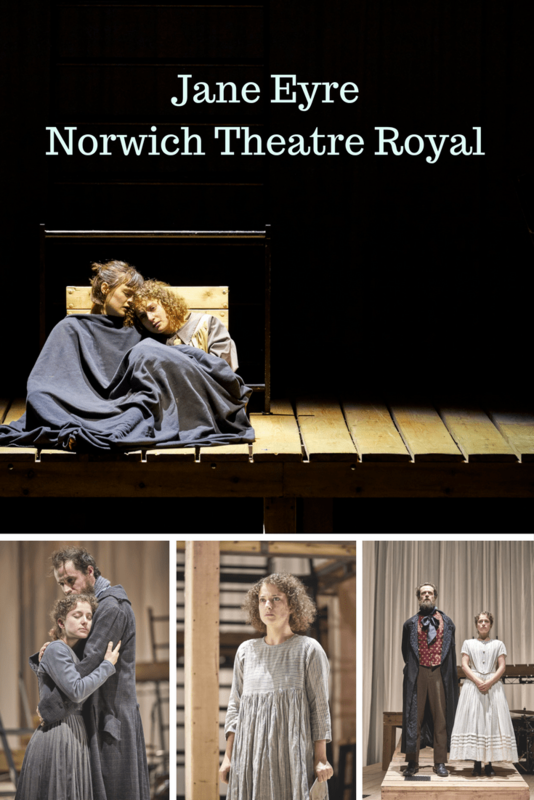 Neva and I went along to the opening night of Jane Eyre at Norwich Theatre Royal, an epic 3 hours 20 minutes that will have you gripped throughout. 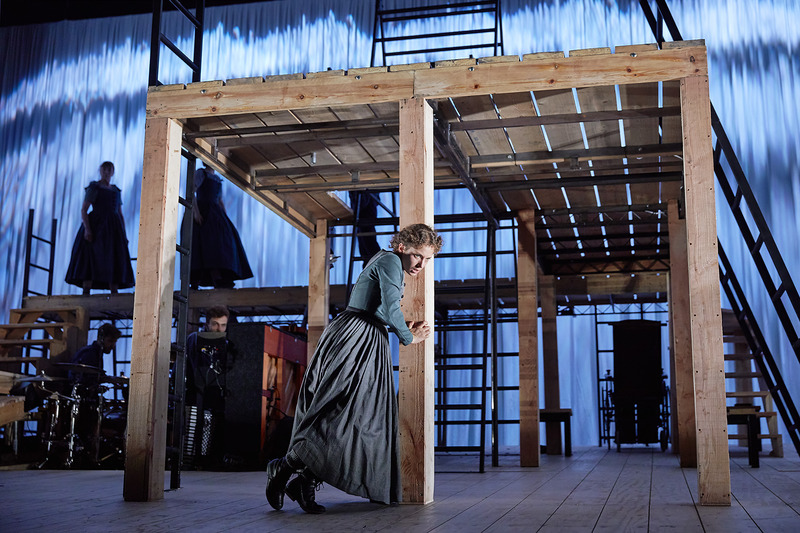 When I first set eyes on the set, I was unsure what to make of it, resembling more like a playground or a building site, with ladders and platforms everywhere, than a Bronte novel adaptation. 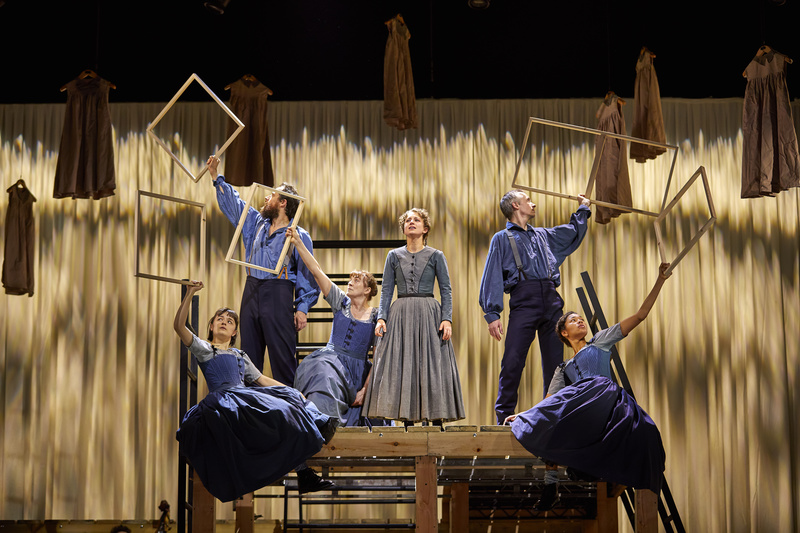 From the first moment that Jane Eyre (Nadia Clifford) voices her own baby cries, and the bundle of joy is transformed into the clothing that the young child wears, it had me captivated. 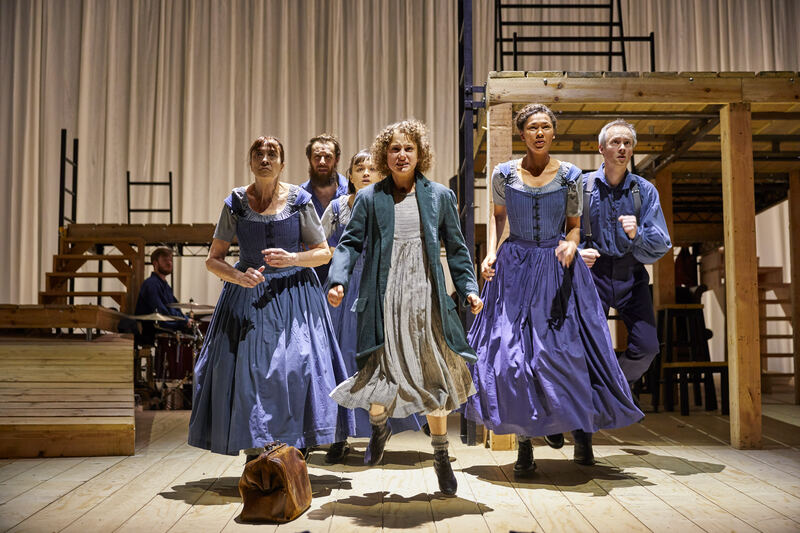 Nadia had the ability to play a young vulnerable orphan Jane, and with a simple change of clothes and her hair up, before our very eyes, was transformed into a teacher and then a governess. The story, as I am sure you are all aware follows the life of Jane Eyre, an orphan taken in by her aunt, but not ever treated like a member of the family, she goes off to Lowood, where she encounters the loss of a friend. 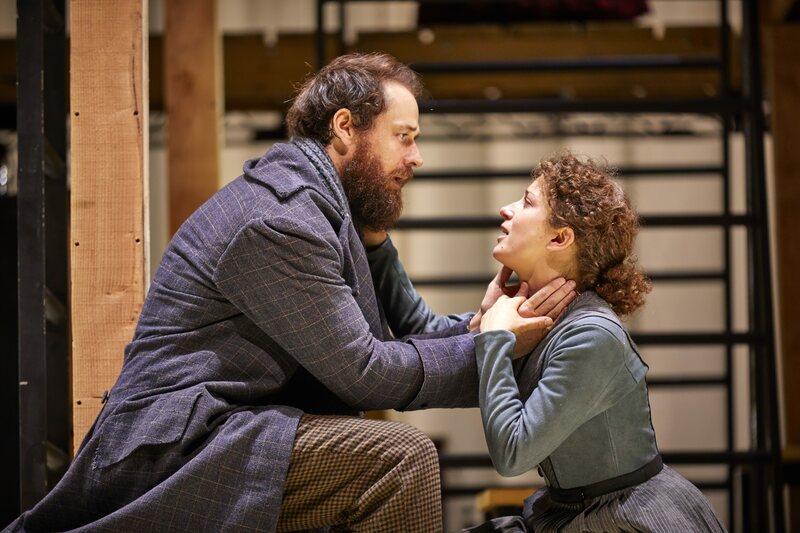 She eventually takes on the role of a teacher at Lowood, and then travels to become a governess for Adele (played by Hannah Bristow) – a french young girl, who is the ward of Mr Rochester (Tim Delap). As the time progresses the relationship between Jane and Rochester turns to a more personal one, but there are a number of obstacles in the way! One of my favourite characters was Paul Mundells portrayal of Pilot, his expressions were endearing and his boundless energy made it hard to think of him as anything other than an over exuberant dog! Evelyn Miller was stunning as Bessie, Mrs Reed’s housekeeper, but just as believable as Blanche Ingram, the intended for Mr Rochester, and even pulled off the role as St. John! 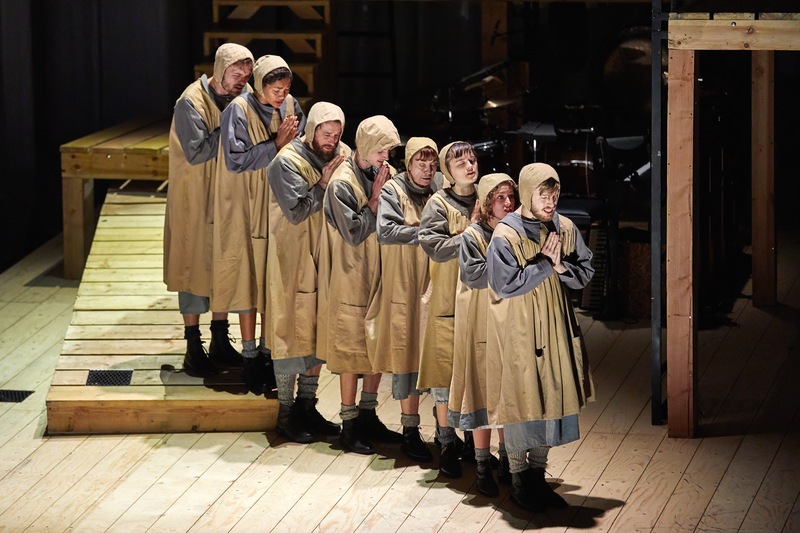 Talking of multiple parts, Hannah Bristow was amazing as Adele the young french girl, Helen Burns (Jane’s school friend) Diana Rivers, Grace Poole and Abbot. It is a real credit that one person can instil completely different feelings about every character that she portrays, simply brilliant. I am still in awe that so many of these literary masterpieces can be told so beautifully, by only such a few actors, this entire life story was portrayed by just ten people, climbing up and down ladders, it was truly stunning. The part that set this production apart from many others, for me, were the musicians Matthew Churcher, Alex Heane and David Ridley, they were on set for most of the production but blended beautifully into the background, then played the various instruments as required and became part of the ensemble at various points, my particular favourite part were the coach journeys! If this sounds like your type of production, then book your tickets NOW as they are going quickly, the circle was full last night and there is very limited availability throughout the week. 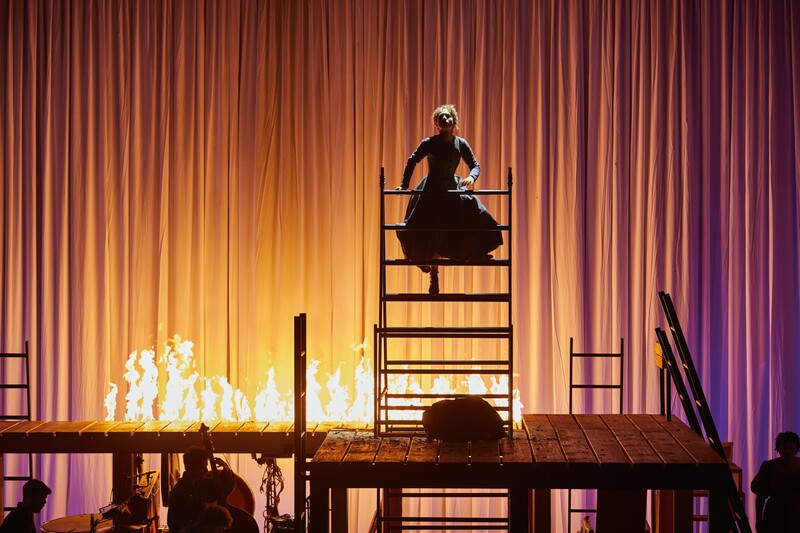 Jane Eyre will be showing in Norwich until Saturday 22nd July, you can find out further dates and venues at the National Theatre. 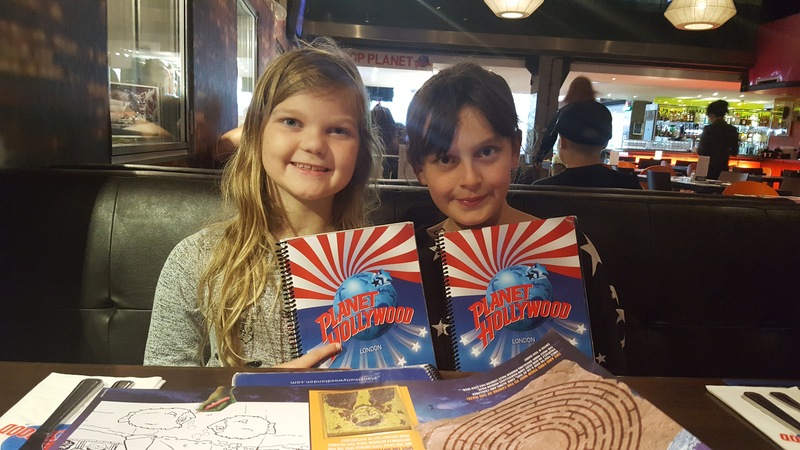 Planet Hollywood - SO Much Food!